Beauty In The River Bottoms I | Flickr - Photo Sharing! Echinacea purpurea (Eastern purple coneflower; syn. Brauneria purpurea (L.) Britt., Echinacea purpurea (L.) Moench var. arkansana Steyermark, Rudbeckia purpurea L.) is a species of flowering plant in the genus Echinacea. Recognizable by its purple cone-shaped flowers, it is native to eastern North America and present to some extent in the wild in much of the eastern, southeastern and midwest United States. and often known as the purple coneflower. Echinacea purpurea is an ornamental plant. It is very poplular as a garden plant in North America. This perennial flower is 1.2m tall and 0.5m wide at maturity. Depending on the climate, it begins to bloom in late May or early July, before losing its flowers in August. Its flowers are hermaphroditic, having both male and female organs on each flower. It is pollinated by insects. Its habitats include dry open woods, prairies and barrens, as well as cultivated beds. Although the plant prefers loamy or sandy, well-drained soils, it is little affected by the soil's ph. 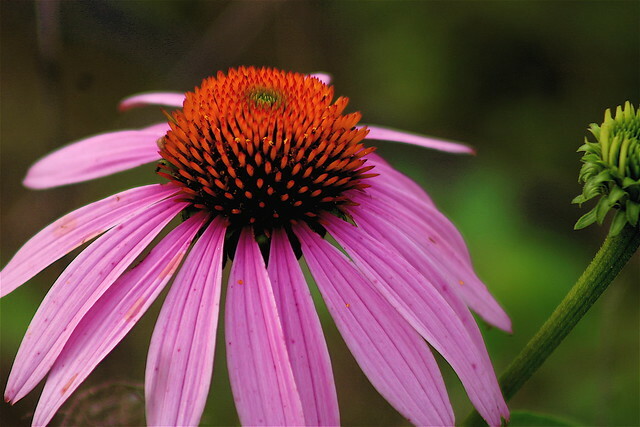 Unable to grow in the shade, Echinacea purpurea thrives in either dry or moist soil and can tolerate drought, once established. In order to facilitate germination of this flower's seeds, they should be sown in early spring in a greenhouse and barely covered with soil. Daily temperature changes are also effective in helping them sprout. With an average temperature of 25°c, the seeds will usually germinate in 10-21 days. Once the seedlings have grown large enough to be safely handled, it is recommended that they be potted individually and allowed to spend their first summer in the greenhouse. They should be planted the following spring or summer; at this point it is important to protect them from slugs. Clumps of echinacea purpurea can be divided, or broken into smaller bunches in the spring or autumn, for replanting. While large clumps may be planted directly, smaller ones require more care. These should be planted in pots which are to be placed into a cold frame until they take root. These potted clumps should then be planted in the spring. ♥babybee, Jamie Hide, jwill9311, and 37 other people added this photo to their favorites. ”Vista en: ☺"El show del Macro "The show of the Macro"☺”"
Etiqueta tu foto "El show del Macro"
Your picture is a real Eye Catcher! Our AWARD INVITE. ~ Do exhibit! 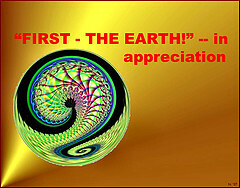 Copy/ add tag, “firsttheearth”. We're happy to share this image in the group! INVITE INTERPRETIVE IMAGES. ~ SEARCH / AWARD 2 PICS IN OUR POOL. And tag the photo with "EXQUISITE IMAGE"
You Deserve The EXQUISITE IMAGE Award!! !